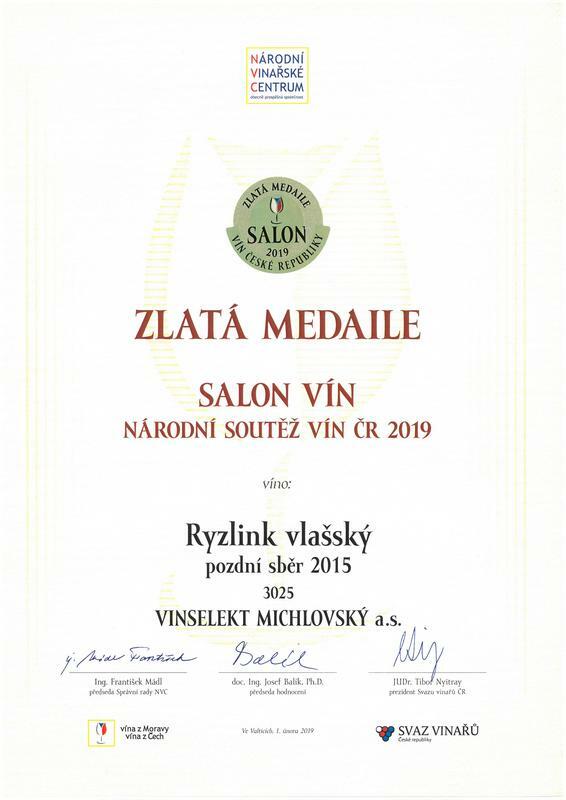 Wine Salon of the Czech Republic 2019 | VINSELEKT MICHLOVSKÝ a.s.
Wine Salon of the Czech Republic is the highest wine competition in the Czech Republic. Wines applying for the Wine Salon first of all need to go through the system of nominating exhibitions, only on this basis the wine-maker can apply for assessment in the Wine Salon. Only wines made from grapes grown in the Czech Republic can apply. Then the wine samples go through the assessment in the committee of wine-tasters, which awards the best 100 wines the right to mark their label with the words “Salon vín České republiky” (“Wine Salon of the Czech Republic”).